Ready to get your hands dirty? Join us for 9 days of theory & design, hands-on natural building and exploratory tours of local structures and homes that were built using different techniques. This course is designed to immerse you in the methods used to create sustainable, healthy, made-from-local materials, energy efficient, aesthetic, functional and owner-build structures to add beauty and form to your landscape. 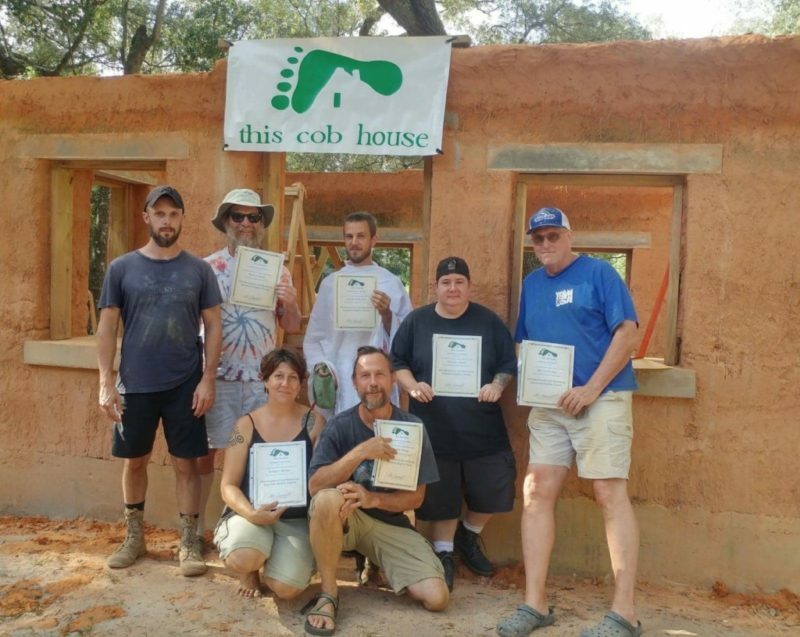 This course includes our 4 day cob workshop and our one day wood fired earthen oven workshop. Proper design for energy efficiency (passive solar, air circulation, etc). Methods that work best in different climates. How to source and test locally available materials. Pre-construction design – How to choose a building site. 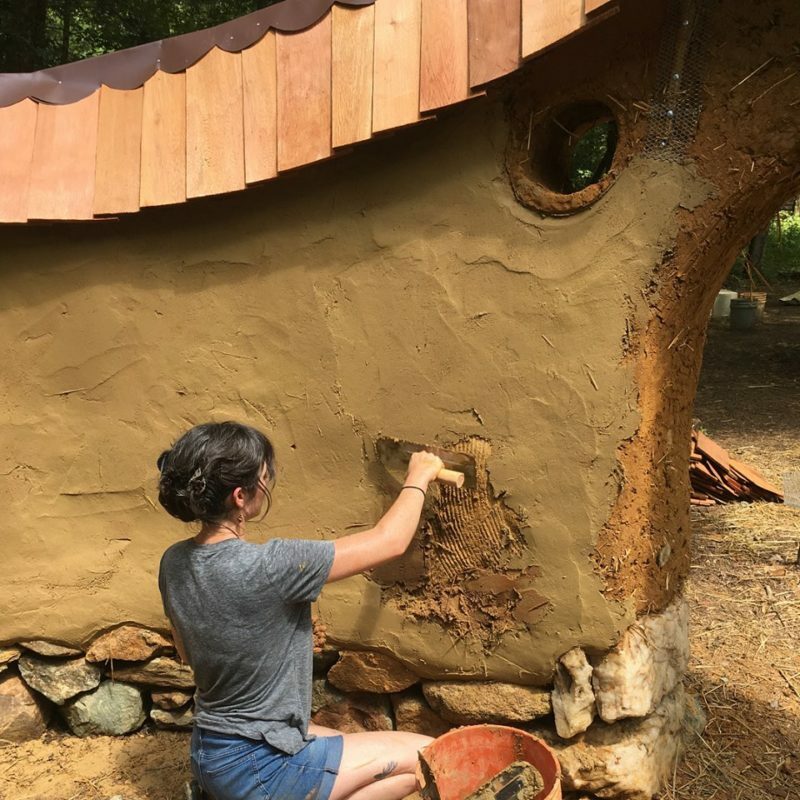 How and when to build with: Cob, straw/clay or straw/wood chip slip, strawbale, earthbag, wattle & daub, adobe, bamboo, cordwood and more. Cliff Davis has vast experience in the fields of permaculture, food forestry, organics, appropriate technology, natural building, deep nature connection and regenerative agriculture, that allow him to offer an integrative approach to land and culture repair. 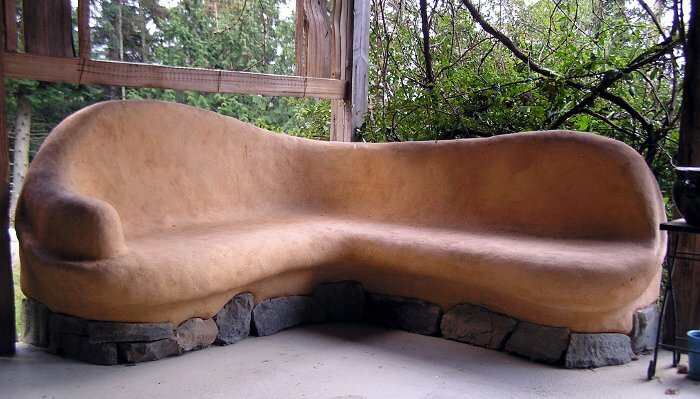 Cliff first became involved in natural building in 2004 when he helped build a cob shed with Christina Ott of Barefoot Builder. He went on to study other forms of natural building, eventually teaching courses and working as a freelance natural builder. He has 11 years of direct experience with a variety of methods, including, timber framing, earthen ovens, cob, strawbale, thatch, cordwood, straw/clay slip, earthbag, natural plasters, living roofs, organic round pole framing and more. 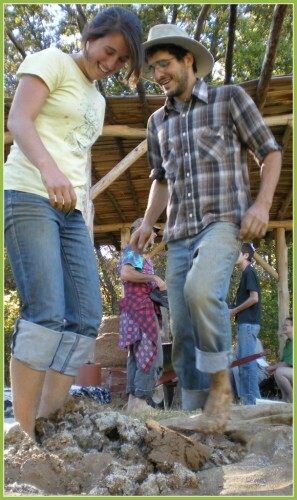 He is co-owner of Spiral Ridge Permaculture and Edible Habitats Design Studio. This course is a great deal! Many more expensive and shorter courses do not provide the amount of instruction this 9 day course can provide. Three meals a day and free camping sweeten the deal even more. Go for a dip in the nearby swimming hole after a day of muddy fun.